A year ago I joined the U.S. African Development Foundation (USADF) and have seen the incredible work and results that can occur when 11 U.S. Government agencies team up in the fight to end hunger. Feed the Future, the U.S. Government’s global hunger and food security initiative, is attacking the root causes of hunger and poverty in 12 new target countries to give communities the tools they need to feed themselves. As I testified to U.S. Congress in July, USADF addresses hunger and food insecurity at the root cause by focusing at the grassroots. 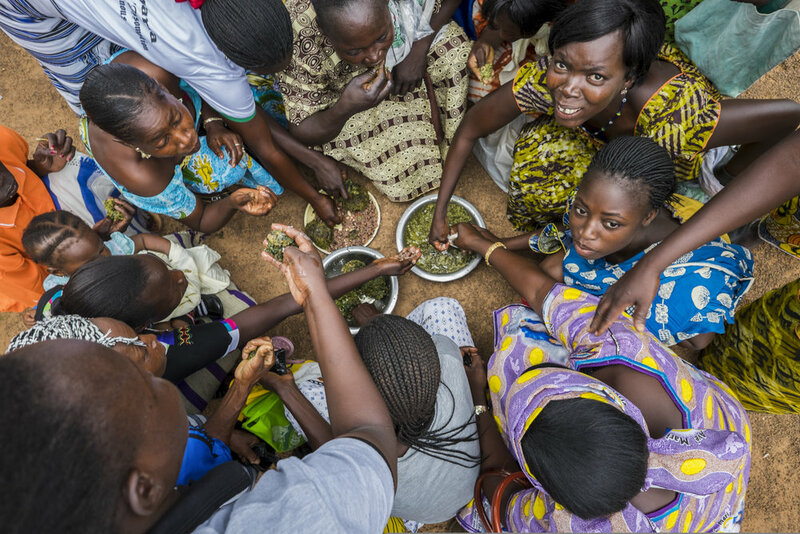 In 6 out of the 12 new Feed the Future target countries, including Kenya, Mali, Niger, Nigeria, Senegal, and Uganda, USADF provides underserved communities a voice and a choice in their economic development priorities. Our community-driven approach means that we listen to farmers’ self-stated needs to catalyze agricultural-led economic growth in these communities. For instance, in Turkana, northern Kenya, a region that is food insecure, we’ve helped communities move from being food aid dependent to self-sufficient food producers and entrepreneurs. This means stable communities, less food aid dependence, and local enterprise creation. Over 70 percent of our investments are focused on supporting agriculture-led economic growth for smallholder farmers, who represent a majority of Africa’s labor force and the backbone of its economies. USADF grants assist hundreds of agricultural cooperatives to develop better enterprise management skills, improve production and distribution capabilities and access larger markets. Through Feed the Future, USADF has invested over $36 million in agricultural investments in Africa. We have worked with over 180,000 farmers, over half of which are women, and impacted nearly 1 million people who are living free from hunger. We also know that food security is important to national security. Hunger and food price spikes, lack of economic opportunities, and youth joblessness are primary drivers of political instability and civil unrest. Earlier this year, I visited cereal cooperatives in central Mali, where USADF is partnering with community enterprises to boost food productivity and incomes for farmer members. Despite conflict and instability in Mali, with USADF support to nearly 2,000 farmers, Diédougou Cooperative has more than quadrupled the quantity of cereals sold annually. By investing in farmers to increase cereal production, Diédougou Cooperative is not only generating economic growth for its members, but selling surplus cereal grains to new markets, such as the World Food Program and private wholesalers. Given the challenges of providing enough food for growing populations around the world, innovation is necessary to increase food security. With local technical partners in 20 countries in Africa, USADF supports innovation to help boost agricultural-led growth. By integrating new technology into agriculture, we see major dividends for farmers. For example, through the Off-Grid Energy Challenge, USADF provides seed capital to energy entrepreneurs who are designing mechanized equipment to help farmers, such as solar-powered maize mills and solar irrigation kits. We know we have the tools necessary to end hunger by 2030. By empowering community enterprises like Kanybek in South Sudan, a small maize cooperative who recently opened a bakery on the outskirts of Juba with their savings, we can give communities the tools necessary to feed themselves. We enable poor and vulnerable populations to participate in their own development, to enhance opportunities for themselves and to create pathways to self-sufficiency and prosperity via enterprise creation. Through Feed the Future, the U.S. African Development Foundation transforms the quality of life for millions of people in communities across Africa and strengthens America’s leadership role in Africa and the world. C.D. Glin is the President and CEO of the U.S. African Development Foundation. Prior to joining USADF, from 2011-2016 Glin was based in Nairobi, Kenya as the Associate Director for Africa for the Rockefeller Foundation, and previously served as a White House appointee at the U.S. Peace Corps as the first Director of Intergovernmental Affairs and Global Partnerships.